By lowering the barrier to entry, through free programs and providing transportation, we are able to reach those previously unreachable. We will not allow income to limit participation; respect and effort are the only payment we ask. 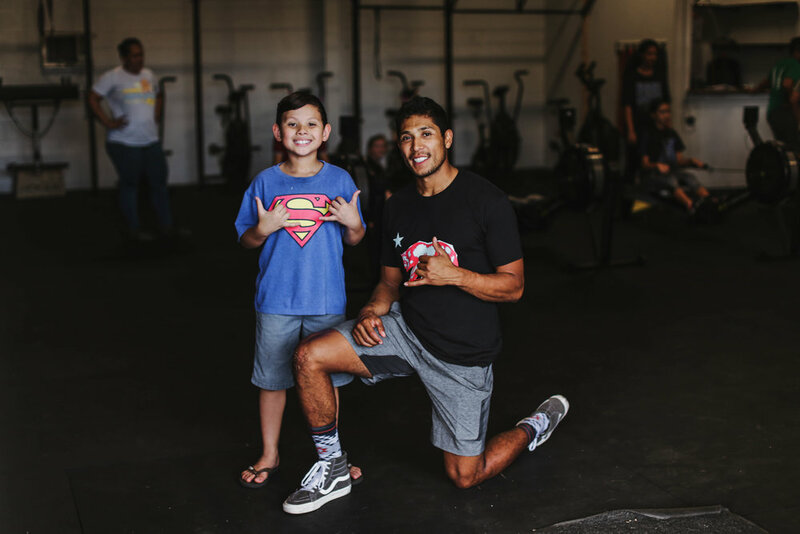 CrossFit Poipu is home to the original Keala Foundation program. Aaron Hoff and Jamie Pacheco opened the gym in 2014. Memberships have always been free for kids. What started with small classes of 10-15 students now holds and average of 60 per class, 5 days a week. Transportation, fitness, and nutrition, are the pillars of the Poipu program. Everyday are picked up from 4 different schools, driven to the gym, coached through a class, fed a healthy meal, then driven home to their houses. Launching this program was not something we anticipated in 2018, but has been an incredible blessing! Bronson Lovell, a leader in the Anahola, was looking for a solution to the drug problem he has witnessed devastate his community for decades. He reached out to us, and so we responded.Controversy over the location of the facility reached state and nationwide news, drawing attention to the need for healthy programs in Anahola, and all of Hawaii. The program has yet to find a permanent home, but has a grass-roots community of 25-30 adults and plenty of keiki, working out of Bronson and his wife Kai’s home. In 2019 we are looking forward to finding a long-term location and continuing to give all we can to the Anahola community. The addition of jiu jitsu to the Keala Foundation has brought a new level of depth to our programs. It’s a powerful sport that has the unique ability to strengthen and humble everyone who participates. The program is focused on teaching students the way of a martial artist through discipline, integrity, and respect. Classes started in Kekaha but have since spread to Poipu and Anahola. Noa Moke, a Kauai native and black belt in jiu jitsu, runs the program and has broadened our ability to impact students and families.